Numbers and statistics are great, but today, I want to tell you a story. Ruth found out she was HIV positive 10 years earlier and since then had come to accept her status. She took antiretroviral drugs (ARVs) every day to keep her immune system strong, and for 10 years, she remained fairly healthy. But in the years since she started disclosing her status to people, discrimination plagued her life. First it was her family. She told them about her newly discovered status, and they rejected her, kicking her and her three boys out of the house. Then her neighbors. She informed them that she was HIV positive, and they stopped letting their children come to her house and play with her kids. Then her community. She began to advocate against HIV/AIDS stigma, freely divulging her status, and suddenly she was being harassed in public, humiliated by old friends, and shunned by everyone she knew. It’s precisely these reactions that keep hundreds and thousands of people from getting tested each year. The fear of humiliation, isolation, harassment, and rejection. Some people kill themselves after they find out they have HIV. It’s too much for them to bear. Others simply deny it, pretending they don’t know and refusing to alter their lifestyle. Hundreds of clinics in Kenya, and dozens surrounding Kiambiu offer ARVs for free to HIV positive men and women. And yet many people still refuse to get them. Refuse to take them. Pretend like they aren’t there. The lack of education surrounding this disease is exactly what makes it so deadly. Thousands of people are living prosperous lives while still dealing with the reality that they are HIV positive. Thousands more are dying because they are too scared to admit the truth to themselves. But there is hope. Ruth told me another story, about a time she talked a man out of ending his own life after finding out he was HIV positive. She cleared up some misconceptions he had about his condition, and then started coaching him back toward the road of stability and hope. This is just a fraction of what education does for a community. 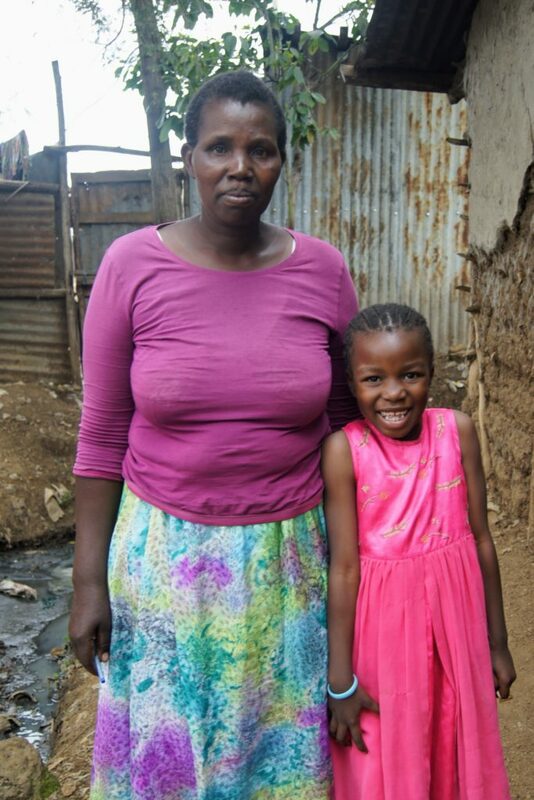 It allows women like Ruth to combat, not just the devastating effects of HIV and AIDS, but the even deadlier factor that continues to wreak havoc on Kiambiu and other communities like it: stigma.